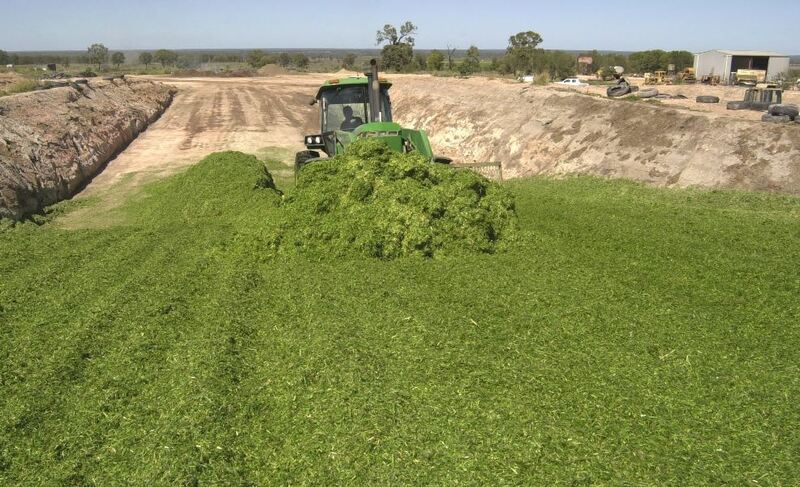 The 2015 year is shaping up as possibly the biggest ever for silage production across Eastern Australia, with a record summer silage planting likely to be followed by an above average winter silage program. The shortage of alternate feedstuffs such as cottonseed, due to greatly reduced cotton cropping. Northern silage specialist with Lallemand Animal Nutrition, Trevor Schoorl, said the summer silage planting across both northern and southern parts of Eastern Australia was probably 35 to 40 percent larger than a ‘normal’ season, and arguably a record. 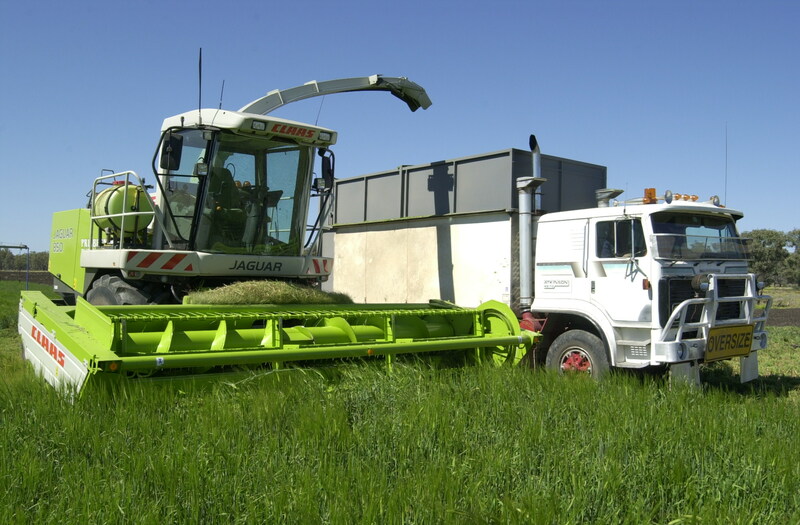 “Within that, the southern forage growing regions from Central NSW into Victoria is probably a typical crop size, to slightly higher than normal. But it’s in the north (more northern regions of NSW and into Queensland) where the big surge in summer silage has come from,” Mr Schoorl said. The trend has been clearly reflected in forage seed demand and availability, with big shortages reported in desirable corn and sorghum varieties. Prices did not move much as a result of the high planting demand, but some ‘sub-optimal’ varieties were planted in some regions due to heavy demand. Growers just wanted to get a crop in the ground on the earlier moisture,” Mr Schoorl said. “Even those growers who did not have the necessary moisture in the ground took the risk to get a crop in, because they needed to, hoping they’d get some follow-up,” he said. In the northern regions of NSW and into Queensland, growers who planted irrigated forage crops early have now mostly harvested that crop, and it’s already in the pit, Mr Schoorl said. Because demand for silage is still so strong, growers felt they could not miss the opportunity, and some are harvesting now, at sub-optimum growth stage, with little prospect ahead for a shower of rain to get the crop over the line. There were pockets of Queensland which had produced better dryland crops than others, however. Areas of Central Queensland and the Burnett Valley that had received moisture from Cyclone Marcia last month were generally in better shape than some others further south. In those northern forage areas that had run out of moisture, some of those crops would be turned into hay, or grazed in the paddock. For sorghums, that presents its own feeding challenges with nitrates and prussic acid build-up (click here to see an earlier Beef Central extension article from last year on this topic). In other cases, growers were simply chopping those crops before they reach the optimal stage, Mr Schoorl said. In those cases, moisture levels represented an additional challenge in managing the forage in the paddock before harvest, and in the pit. “The core problem in these moisture-stressed forage crops is that they are not forming grain heads, which in itself helps with the drying process before harvest. In essence, growers have to wait for the plant to ‘half-die’ before moisture levels in the stalk get low enough for harvest,” Mr Schoorl said. “In these cases, my advice is that growers need to be patient,” he said. Corn was obviously not as forgiving as sorghum as a (moisture-stressed) forage, but growers still needed to be patient and wait for moisture levels in the stem to reduce, Mr Schoorl said. “With silage reserves in pits being so low, and demand so high, given the price of cattle, growers have to think about achieving the best possible outcome they can from this summer crop. It’s worth coverall all the bases, in using the right inoculant and covering the pit properly with the right plastics and covers. Preserving every tonne and minimising spoilage is going to be super-important this season,” he said. If northern growers who planted on the December/New Year rain were fortunate enough to get another shower or rain, harvesters would be flat-out from the end of March and through April. If there is no rain, that chopping period will be brought forward by at least a couple of weeks. Southern forage growing regions from Central NSW down into Victoria are currently in much better shape than the north, especially for irrigated summer corn. Harvest has just kicked off now in northern Victoria. 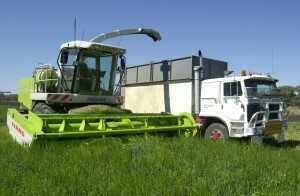 The current circumstances, particularly in more northern forage growing regions, indicated a strong winter silage program was likely in coming months, Mr Schoorl suggested. “The problems with moisture stress during the back half of the summer-grown crop will see renewed interest in winter forages, where they can be grown for silage,” he said. The winter silage window starts around the end of April in many areas, with cereals like barley and triticale, and a few weeks earlier for oats. “A strong winter silage program is definitely on the cards in more northern regions – anywhere from Central NSW north – and especially if we see moisture to plant a dryland crop on,” Mr Schoorl said. Another factor was the high price that some lotfeeders and other users had paid earlier to secure forage crops for silage. “They’d love to be able to dilute some of that high cost with some cheaper winter forages, if they could get them,” he said. Buyers of irrigated summer corn this year typically paid anywhere from $70 to $90/tonne for local crop, standing in the paddock. Add to that another $20/t to harvest and bed it down in the pit, and it valued that corn silage, on a dry-matter basis, at around $240/t. “Despite these earlier high prices paid, demand for silage this year remains extremely strong, and that’s unlikely to change any time soon,” Mr Schoorl said.